AMAZING. I wish someone had been there to record the smile that bloomed on my face when I first walked in. I could have spent my entire day there. As it is, I only spent a couple of hours riffling through the wide assortment of books. Most paperbacks were $1 or $2, so I spent $23 for 15 books. Not too shabby. 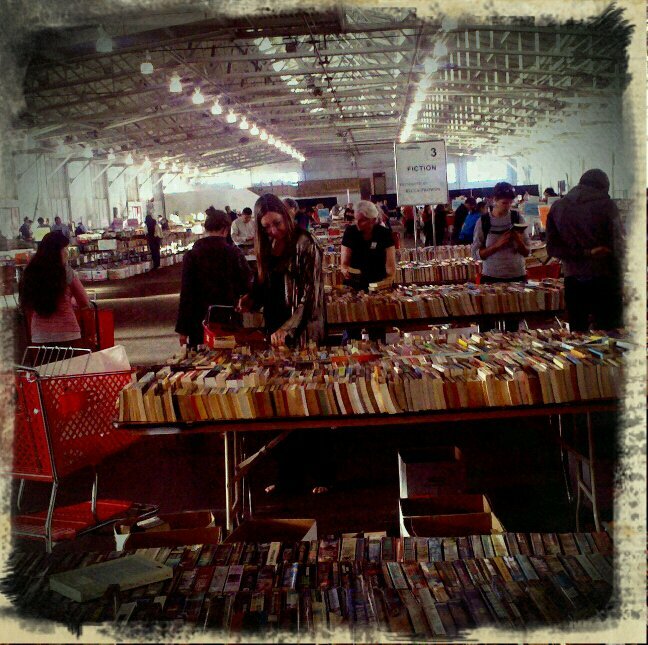 I’ll probably return for more on Sunday, when every book is only $1. CAN YOU BELIEVE IT? “The Book of the Dun Cow” – Walter Wangerin Jr. I definitely need to purchase a decent bookshelf now, or at least add more shelves to my space in the living room. My mom volunteers at a Friends of the Library [FOL] bookstore, and LOVES it. Those sales are the best, but working there means you get first dibs…though you already seem soooooo busy to me I don't know if you have time to do that…but if you want dibs on the books, that's the way to do it!